Most people understand the importance of recycling. After all, Americans have been exposed to a national recycling campaign for years now that encourages us to “reuse, reduce and recycle.” Aside from the environmental benefits of recycling, there are many other reasons why we should recycle. Collecting discarded items, such as plastic bottles, glass bottles, aluminum cans and other types of scrap metal can be done by just about anyone who has the time, willingness and ability to bring them to scrap metal places near New Bedford for recycling. Not only will you help to reduce the number of items that end up in our local Southeastern Massachusetts landfills, but you can also earn money by selling these items at our local scrap metal recycling facility. Did you know that scrap metal recycling helps to improve the economy of the United States as a whole? We are one of the largest exporters of scrap metal recycling goods on the planet. Not only does this help to boost our economy, but it also works to reduce the amount of ore that is drilled around the world. This helps to preserve our natural resources by leaving these raw, virgin materials in place for the future, but it also helps to reduce the pollution and energy resources that would be consumed during mining and refining. If this doesn’t help you understand why we should recycle, there are still even more reasons. 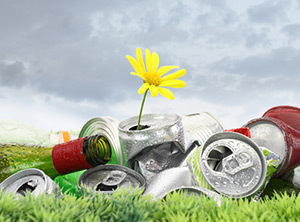 While most people know that bottles and cans can be recycled, many aren’t aware of all the other types of scrap metal recycling that can be done. When it comes to learning where to find scrap metal so it can be taken to scrap metal places near New Bedford to sell for cash money, you really don’t have to look too much further than your own garage or garbage can. There are lots of metals that we toss out each and every day that could be sold for scrap metal recycling. When you throw these items out with your weekly garbage, you aren’t just adding to the never-ending pile at the landfill, but you are also tossing out potential money. When you take your scrap metal recycling items to scrap metal places near New Bedford like Mid City Scrap Iron & Salvage in Westport, you enter into a win-win relationship that can earn you some cold, hard cash for your efforts. Less waste goes to the landfill, the scrap metal recycling facility gets scrap metal that it can melt down and sell to manufacturing companies or for export and you get money in return. Now how’s that for a winning formula? In addition to checking your garage, backyard and household trash to find scrap metal, you can also pool your household resources to collect even more scrap metal items. What type of work do you do? Where do you work? Does anyone in your household work at a trade that might have access to scrap metal for recycling purposes? Before you take any scrap metal from a job site or from your workplace, make sure to get permission from your supervisor or from the owner of the company. You wouldn’t want to risk losing your job just for the sake of scrap metal recycling. If you are going to get in the habit of learning where to find scrap metal and then take it in to your local scrap metal recycling facility, then you need to know more about scrap metal places near New Bedford. While small local recycling centers, sometimes located in grocery stores, near shopping centers and other convenient places, will take your plastic bottles, glass bottles and aluminum cans for recycling, they won’t take larger items. For this you need to go to a scrap metal recycling facility. Even if you just have a wad of copper wire or pipe, you’ll need to go see a professional. Mid City Scrap Iron & Salvage is a family owned and operated business that has been serving the people and municipalities of Southeastern Massachusetts and Rhode Island for over 80 years. This is a scrap metal recycling facility that you can trust to get the best prices on copper, aluminum, brass, steel, iron and other types of scrap metal. Located conveniently in Westport, Mid City Scrap is easy to get to and is easy to work with. If you are a local resident, they even have an incentive program that can help you earn even more cash for recycling. So if someone asks you in the future why we should recycle, you will be able to share with them all of the beneficial reasons for scrap metal recycling. You can also tell them to take their scrap metal items to Mid City Scrap in Westport for the best prices at a local-owned business that they can trust.